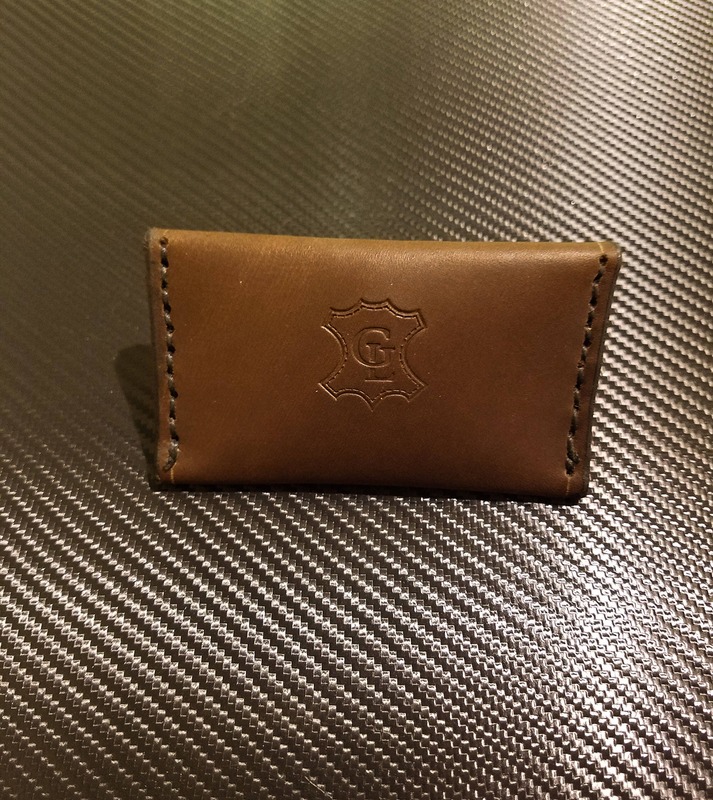 This is a super slim snap wallet that is perfect for holding business cards, or a minimal selection of other items. 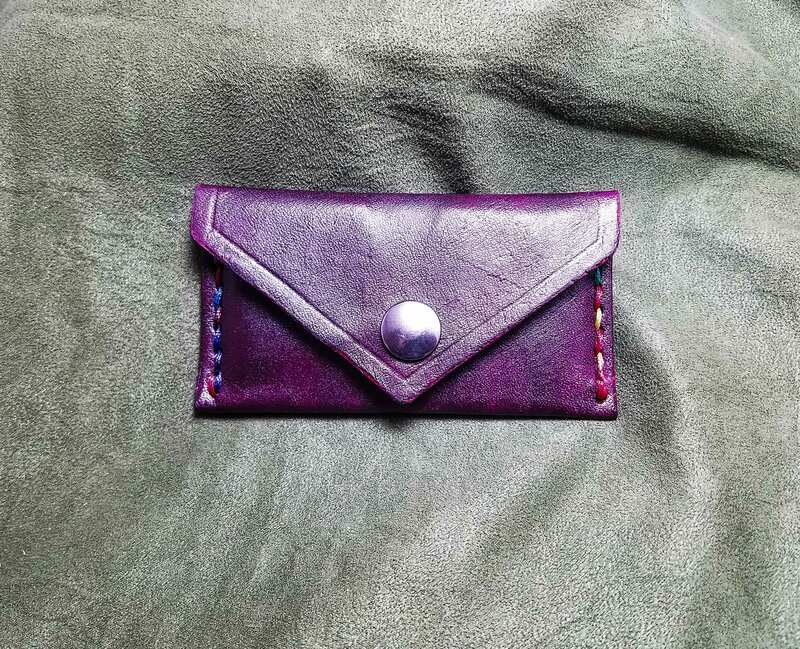 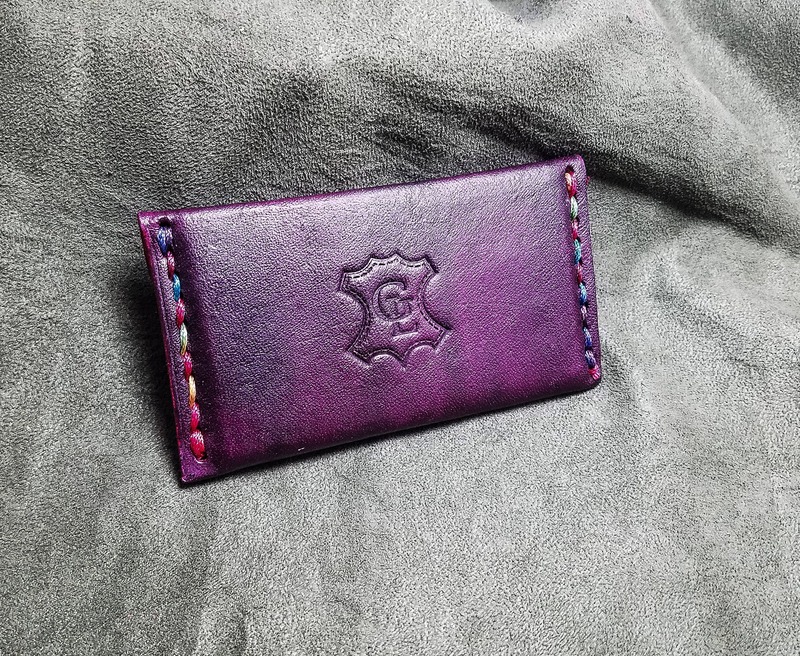 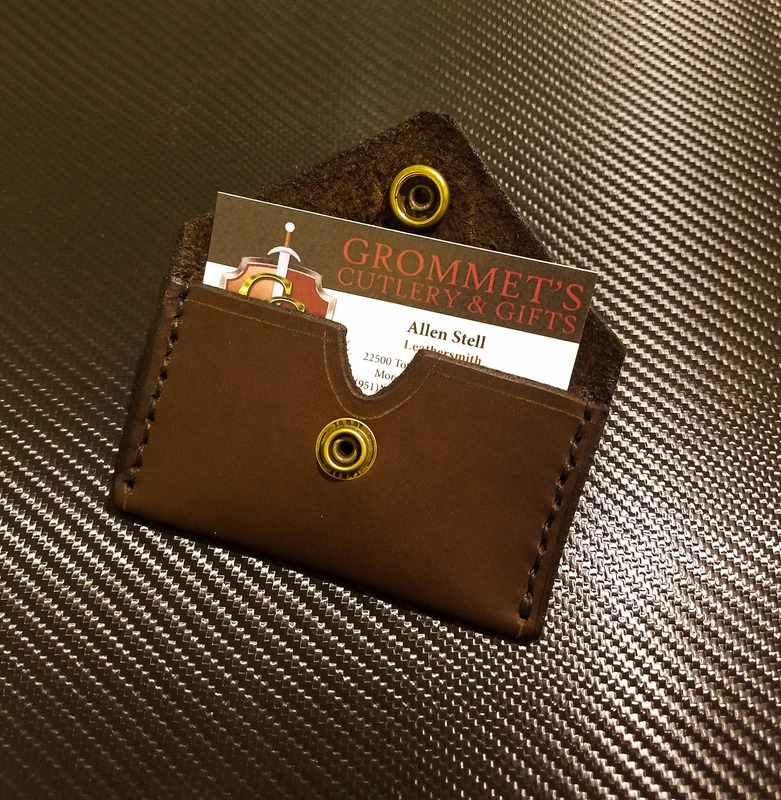 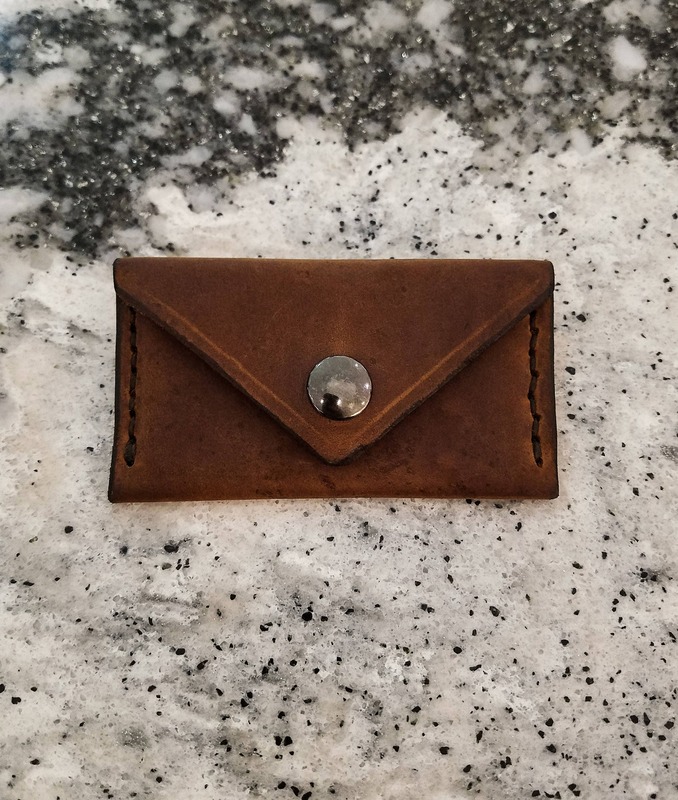 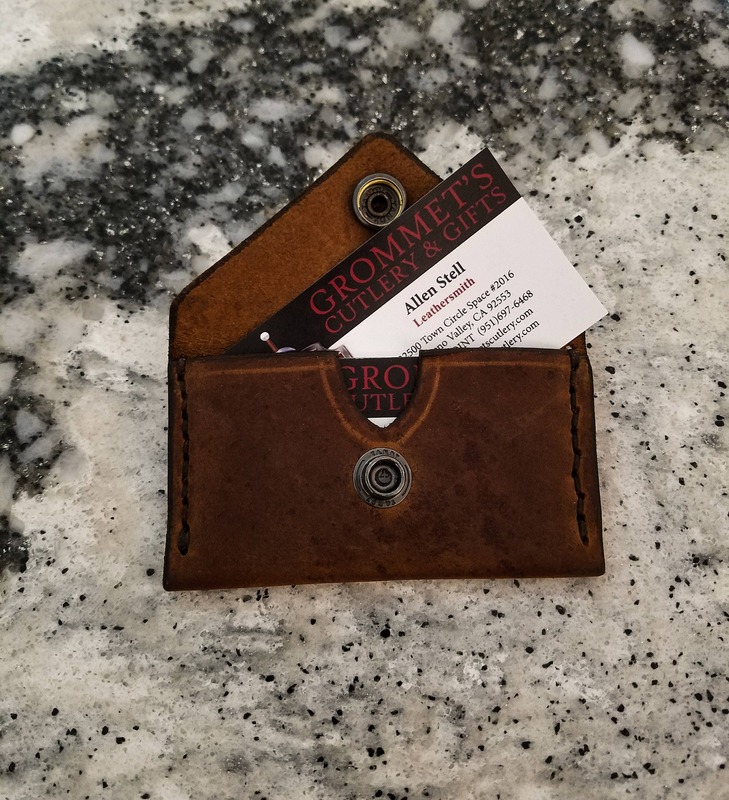 Each wallet is made out of 2-3 ounce Vegetable tanned cowhide, and is hand-stitched together with polyester thread in a color of your choice. 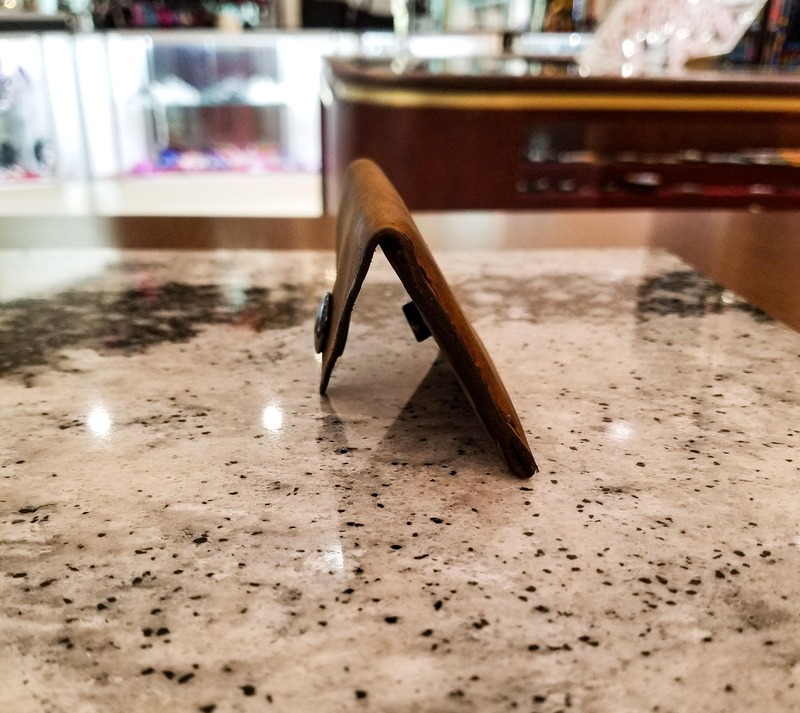 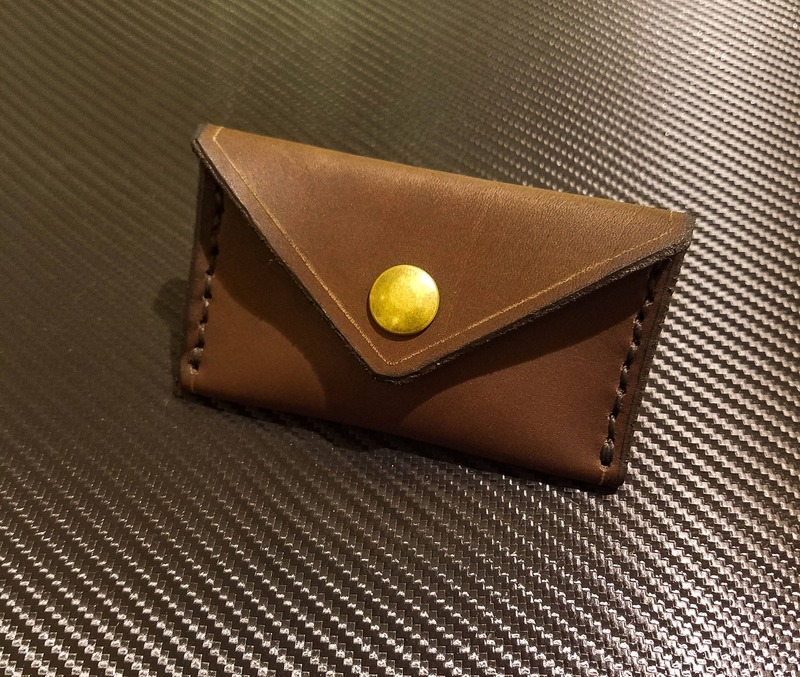 The wallet is closed via a single snap, and takes up very little space when closed, making it perfect for those looking for a wallet that doesn't get in their way.